Size: 15"X15"X5". 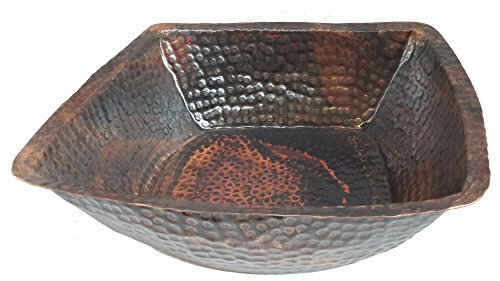 The bowl is hand forged by Egyptian artists from 1 pc copper sheet. Textured Hammered. Scratch Resistant. Rolled Lip for Easy Handling. Outside face only is coated with varnish. Inner Face is not coated for Anti Viruses, Microbes or Bacteria as recommended by EPA.